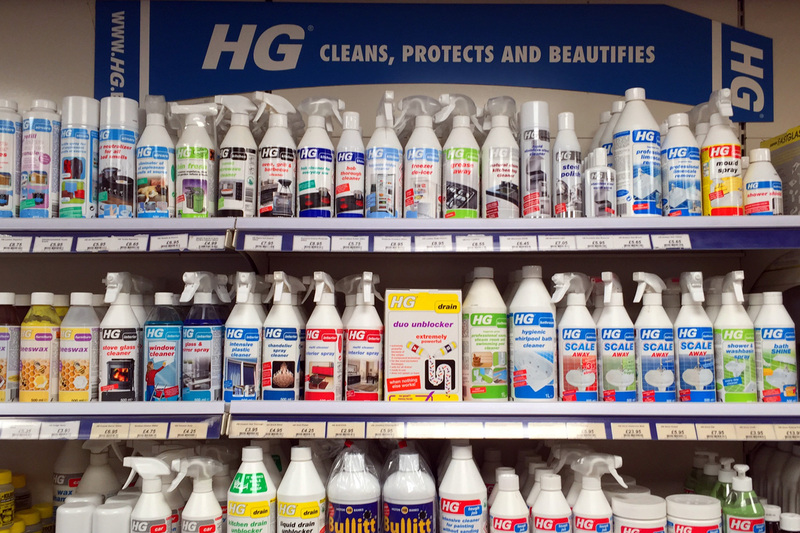 In store, we keep a comprehensive range of household cleaning products, the large majority of which from a company called HG. Within our cleaning department, you can find drain unblockers, mould inhibitors, limescale removers, floor cleaners, surface cleaners, window cleaners, all of which in varying strengths from everyday essentials to industrial strength chemicals. We also provide Ecover’s refilling services for bottles of Washing­-up liquid, Fabric conditioner and Laundry liquid which is a great method to save money and recycle used plastic bottles. Another very popular service we offer in store is the Rug Doctor carpet cleaning machine rental. See here for more details.